Sol Bidek’s family lived in a tenement on Market Street in Hartford. They waited several days for word from New York. Finally, they got the news: their sister was safe. The young garment worker had not been killed in the horrific Triangle Shirtwaist Fire. The disaster occurred in the New York City garment factory on March 25, 1911. One hundred forty-six workers perished, mostly young Jewish and Italian women, some as young as fourteen. Their escape from the inferno was blocked by poor building construction, a lack of adequate fire escapes— and an exit door the boss had locked, workers said, so employees would not steal the goods. The incident rocked the country. Newspapers were filled with shocking descriptions of working girls flinging themselves to their deaths from the tenth floor of the Triangle building onto the sidewalk below. Badly burned bodies were lined up in a makeshift morgue; it took days to identify those burned beyond recognition. (The names of the final six victims were only ascertained in 2011.) Triangle owners Max Blanck and Isaac Harris never spent a day in jail, and even when they lost a 1913 civil suit, the company’s insurance policy awarded the two men more than they had paid out in fines to the victims’ families. The Triangle Shirtwaist tragedy sparked union organizing efforts and a wide range of new safety laws. Yet even those reforms were vigorously blocked by manufacturers in Hartford and throughout the nation. If workplaces are safer today – and they are, thanks to state and federal OSHA laws and labor unions’ vigilance – it is in part because of the Triangle victims. 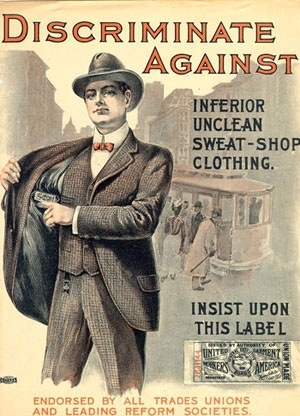 In 1911, Connecticut workplaces were extremely dangerous. On the very same day as the Triangle fire, Hartford’s Zephyriah Couture was crushed to death while he oiled a pumping engine at the Dunbar Brothers factory. In fact, during the thirty-day period before and after the Triangle outrage, fires destroyed five Connecticut businesses, causing hundreds of thousands of dollars damage. Couture and at least six other workers—mechanics, laborers, and trolley car conductors— were killed in separate incidents around the state. Others were permanently disabled, like Bridgeport worker Thomas Gray whose leg was amputated after an accident while repairing a freight elevator. 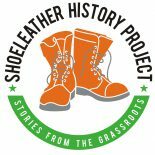 The growing movement for worker safety had many allies, which helped in part to offset the power of the big business lobby to obstruct reforms. Assistance came from sympathetic legislators including State Senator Thomas Spellacy (a local attorney who also defended striking workers arrested on picket lines), Consumers League head Mary Welles, and Rev. Rockwell Harmon Potter, pastor of Center Congregational Church, who spoke in the pulpit and at the state house in favor of labor and safety law improvements. Hartford’s Rebecca Weiner took that charge seriously. She was fired from the Sage Allen department store for trying to organize a union. 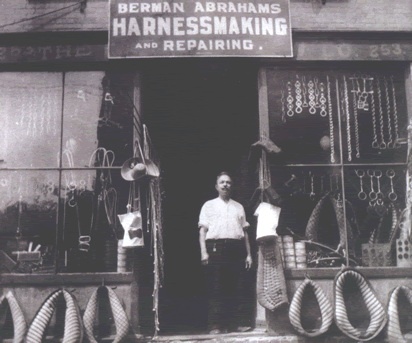 Three hundred Hartford tailors at ten clothing stores were then locked out of their jobs when they refused to handle work from Sage Allen. Weiner and the other alteration tailors exposed the “insanitary conditions” of the store, according to the president of the International Ladies Garment Workers Union (ILGWU). Hartford shops, the union reported, had no fire escapes even though they operated many floors above street level. 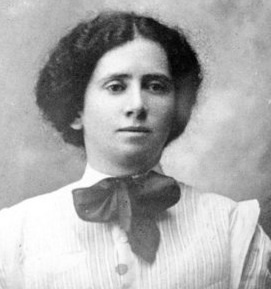 Rebecca Weiner argued that without a union, “no working girl could ply her honest trade in the…polluting atmosphere that environs her struggle for a living wage and decent working conditions.” This strike was lost, but the union survived and still organizes immigrant workers in Hartford. 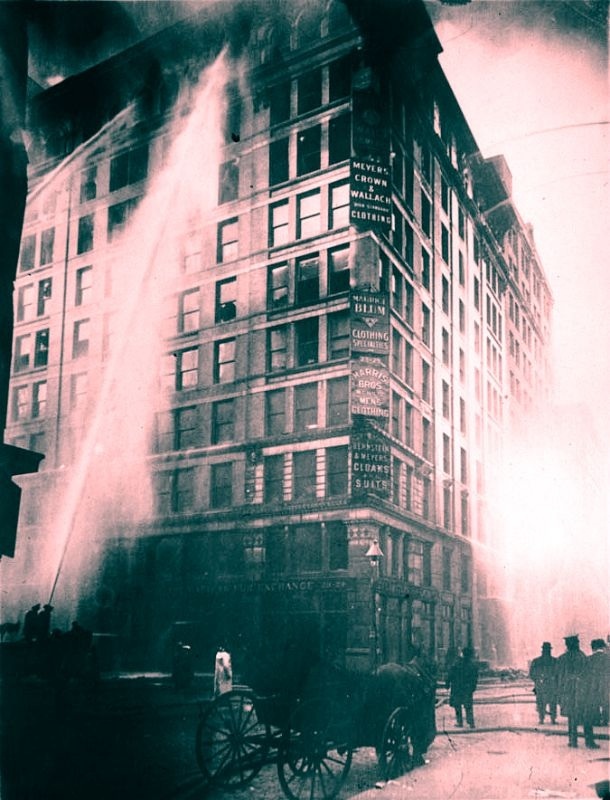 The infamous Triangle Shirtwaist fire had another Hartford connection, one of the many acts of bravery that saved lives on March 25, 1911. George LeWitt was a Hartford High School graduate whose family lived on Windsor Street. On the day of the fire, George was studying law at New York University. He was in a school building directly across from the Triangle shop when he and other students heard workers’ screams and saw bodies falling. George raced to the roof and extended ladders to the desperate garment workers. 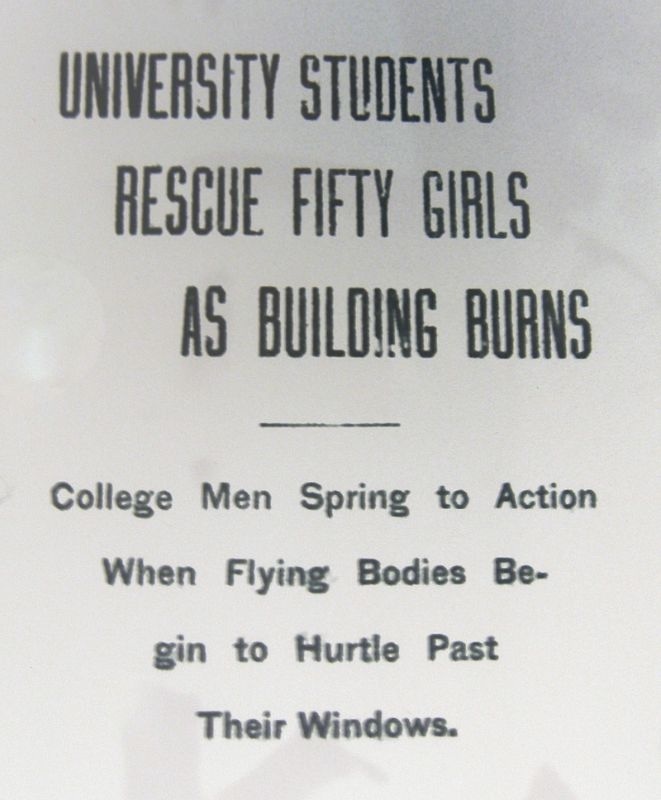 At least forty young women were saved by the students’ action. Today, the fight continues for safe workplaces. The labor/community coalition known as ConnectiCOSH stresses that workers need the proper protections, the right tools, complete training and independent monitoring to keep them safe. But accountability is the key to making sure that companies require workers to “do the job safe, not just quick” according to ConnectiCOSH spokesman Steven Schrag. CEOs should be held personally responsible for adequate safety and health programs, the group says. There is help for tuition and other school associated expenses. This entry was posted on January 19, 2014 by Steve Thornton in Hartford, Labor, Women.